Home :: Serial converters :: RS232 to RS485 / RS422 EX.PWR. RS232 to RS485 / RS232 converter with external 9VDC power supply. 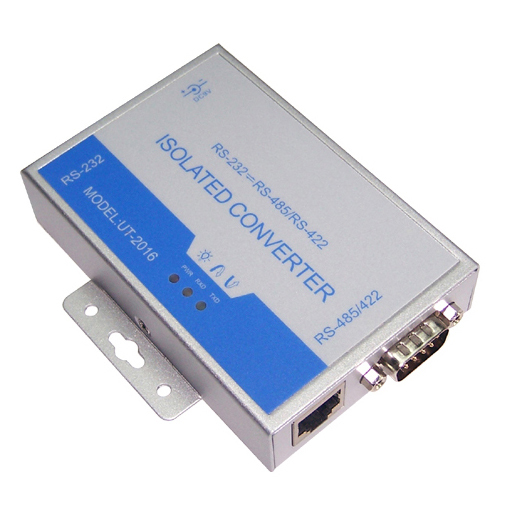 This is a versatile combined RS232 to RS485 / RS422 converter, suitable for a variety of applications including industrial, laboratory, commercial and consumer projects. 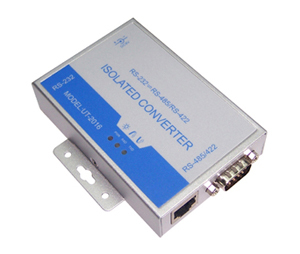 What is interesting about this converter is that it has several types of interfaces for connecting your RS485 / RS422 connection. You can chose to connect single wires via the included terminal header, connect a serial cable via the DB9 male connector or a patch/phone cable via the RJ45 connector. 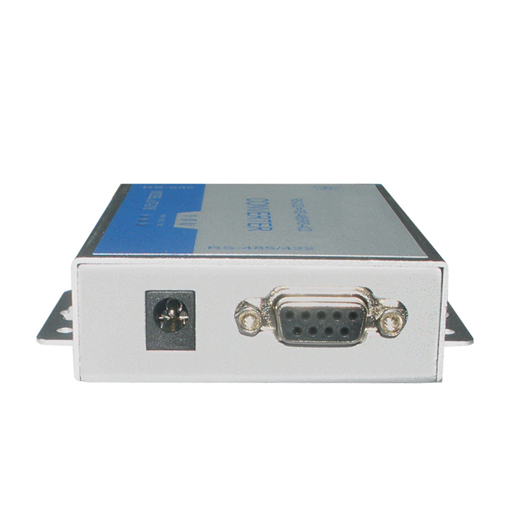 It is capable of working in either half-duplex RS485 or full-duplex RS422 mode. Automatic Send Data Control is enabled by default so no drivers or other software is required. 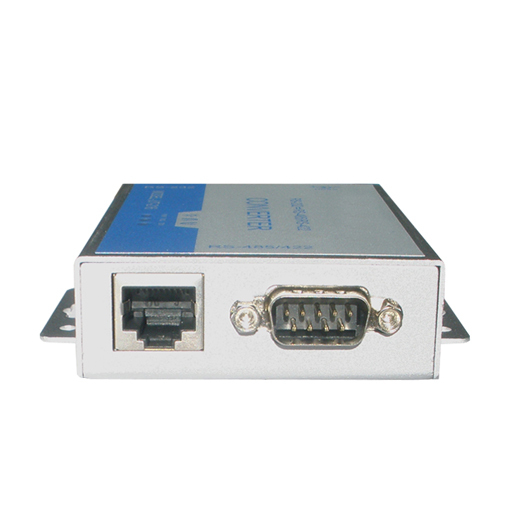 You can use it with point-to-point or point-to-multipoint networks. 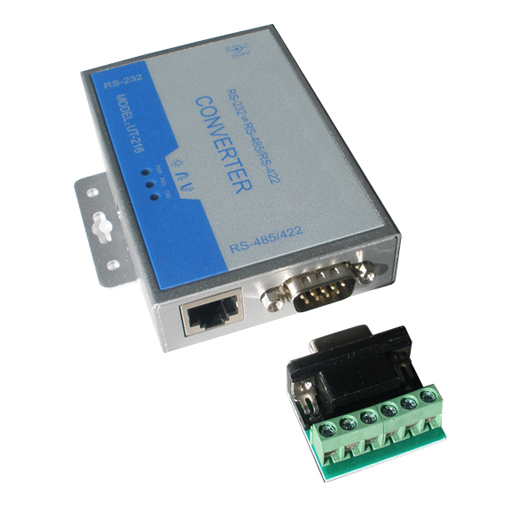 The converter automatically senses whether the RS422 or the RS485 is connected to the interface, simply connect the wires and you are ready to go. This RS232 to RS485 / RS422 converter must be externally powered by a 9VDC supply, (a 120VAC/9VDC wall adapter is included with the converter). It has a strong aluminum housing so you won't break it easily. LED indication lights for TX, RX and power make it easy to see when communication is present. This converter is non-isolated with protection against static electricity which is ideal for most applications however for industrial or very sensitive projects we recommend an optically isolated converter.